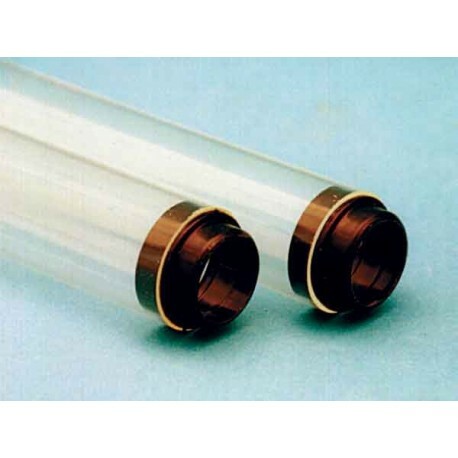 Reusable CON-TROL-CURE® T5, T8, and T12 UV FILTER TUBES encase existing fluorescent lamps and filter UV radiation up to 395nm when used with 400 M.A. lamps. Insulate and improve lighting efficiency at low temperatures. High tensile polycarbonate protects people and equipment from lamp shattering. Furnished with end caps that fit snugly between lamp and sleeve. Release channel allows gases to disperse slowly into the atmosphere. Perfect for laboratories, museums, galleries and other areas where UV light can deteriorate materials. Available with T8, or T12 diameters in 4' lengths of clear, red, or amber and the end caps are included. Also now available with T5 diameter in 4' lengths of clear or amber with end caps. NOTE: All filter tube part numbers INCLUDE end caps. We have additional part numbers for spare end caps that can be purchased seperately, for all sizes except the T5 HO type. The special T5 HO type end caps are only available included with the tubes, they cannot be purchased seperately. T8 bulbs have a diameter of 1", T12 bulbs are 1". 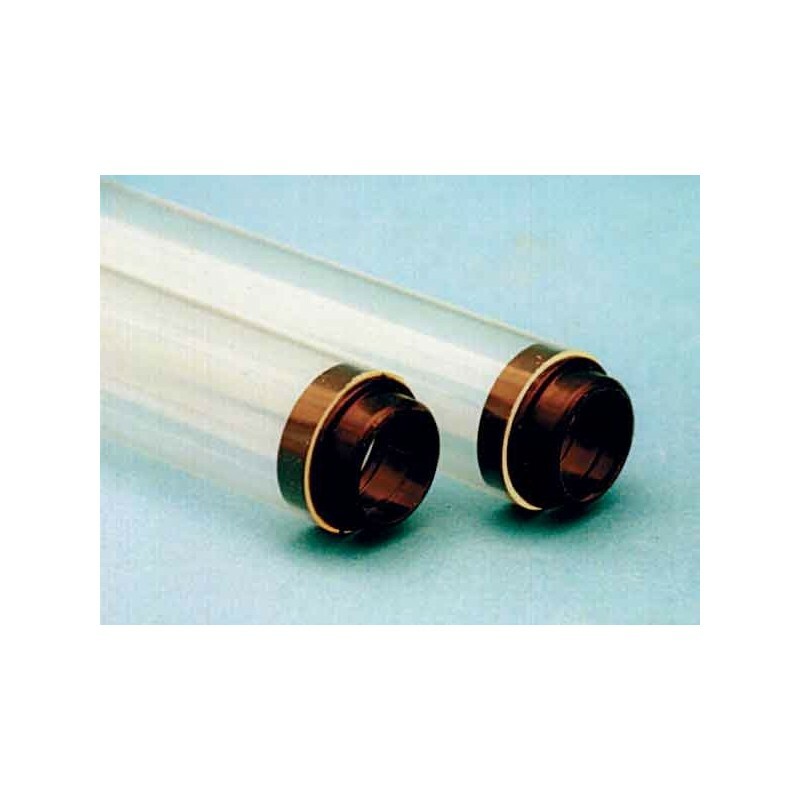 Clear T8 and T12 tubes are also available in 8' lengths by custom freight carrier only. NEW !! - AMBER NOW AVAILABLE IN A DARKER SHADE! The original amber part number F007-043 has been discontinued. The new amber part number F007-043A is called Dark Amber. This shade of amber has more red which pushes the 99.9% filtration all the way out to 530nm. NEW !! - T5 CLEAR NOW AVAILABLE IN SPECIAL HIGH TEMPERATURE DESIGN!